A while back one of Aaron’s sheep customers gave him a few packets of peanut butter for me to try. 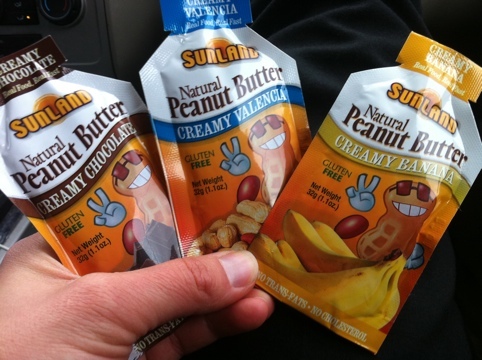 He is on the board for the company and they are now selling these packets. I was very excited to get them and happy that he thought of me :-)! Well, needless to say I lost track of them and just found them… And am so glad I did!!! It even says gluten free on the front!!! 🙂 easy confidence builder! 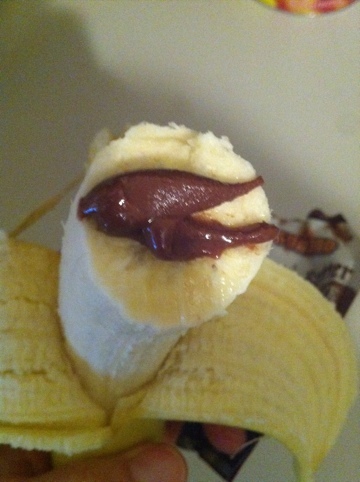 I took the creamy chocolate and added it to my banana and loved it!!! Super creamy chocolate!! I didn’t honestly even need the banana it was a treat without the added fruit! 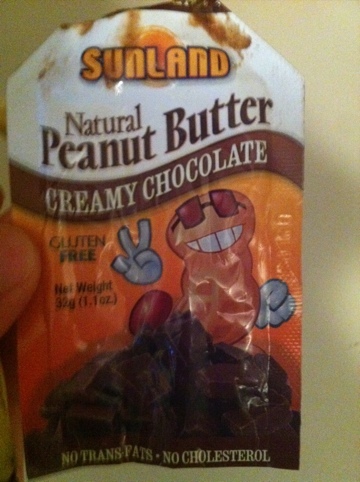 Posted in Gluten Free, Snack Item and tagged peanut butter, Sunland. Bookmark the permalink.